The curved shape is exciting. 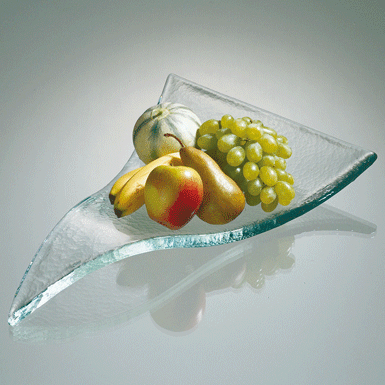 Objet d´art or fruit dish? Hand-poured and placed in the mould.